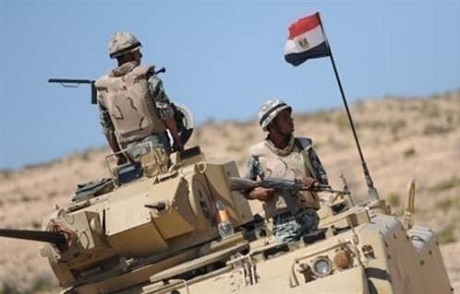 Four Egyptian armed forces personnel were killed in North Sinai amid ongoing operations against militants, according to a statement released Saturday by the spokesperson for the Egyptian armed forces. The statement did not include the names of the killed personnel or their ranks. According to the statement, issued Saturday evening, military operations in Al-Arish, Rafah and Sheikh Zuwaid resulted in the killing of six militants and the arrest of two people wanted on criminal charges. The statement added that security forces destroyed three warehouses used by militants to store explosive devices. Security forces also detonated 12 explosive devices that they said were ready to be used against them on highways. The statement also said that three hideouts used by militants were destroyed and a number of arms confiscated. Hundreds of security forces in North Sinai have been killed in attacks by Islamist militants in the past few years. Egyptian security forces say they have killed hundreds of militants in the area during the same period.